Winston Churchill – what does his handwriting say about him? - Faith Wood - Inspiring Minds Consulting Ltd.
Winston Churchill – what does his handwriting say about him? Success is not final. Failure is not final. It is the courage to continue that counts. Sir Winston Churchill What a great quote. 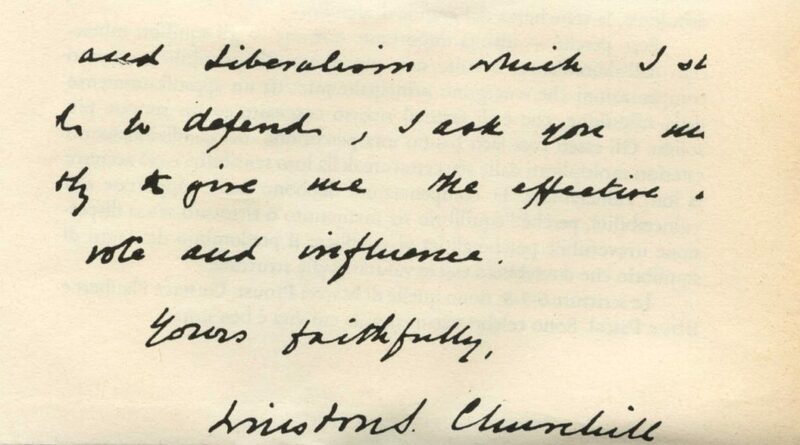 When you look at the handwriting of Churchhill – does the writing match the sentiments? 1. Steeple-shaped m’s and n’s – these indicate lightning-quick thinking ability and decision making. This man was seriously intelligent. 2. I-dots that look like periods. No slash, but firmly planted and round. Churchill had a strong sense of loyalty to whatever group or idea to which he linked himself. 3. Notice how the y’s end or link up to the next letter by forming a v-shape to the right, rather than making their way left. This reveals an aggressive nature. 4. Churchill enters his t’s and even l’s from above rather than from the baseline, which means that he prefers to be spoken to and dealt with in a direct manner. 5. The slant of Churchill’s writing leans toward the right. He is expressive and highly motivated by his emotions and desires. Want to learn more? Join us for the handwriting webinar series that starts September 3.